As always: very fruity, herbal and mineral. Fruity, but also mineral and grassy. Peach, pineapple, apple, orange, grass, oatmeal cookies, mint, wet stones, vanilla, some pine resin and pepper. Oily, fruity (more towards tropical fruit, like mango, passion fruit), herbal (grass, mint), honey, vanilla, wood and pepper. Pepper, herbs, peach, pineapple, mango. It gets a little bitter on ginger, unfortunately. Orange, grain cookie, caramel, pineapple, mango and vanilla sugar. Grapefruit, orange, grain, porridge, caramel, mango and vanilla. Cereals, grapefruit, mango and caramel. A very good Littlemill as a whole, from the second sip. 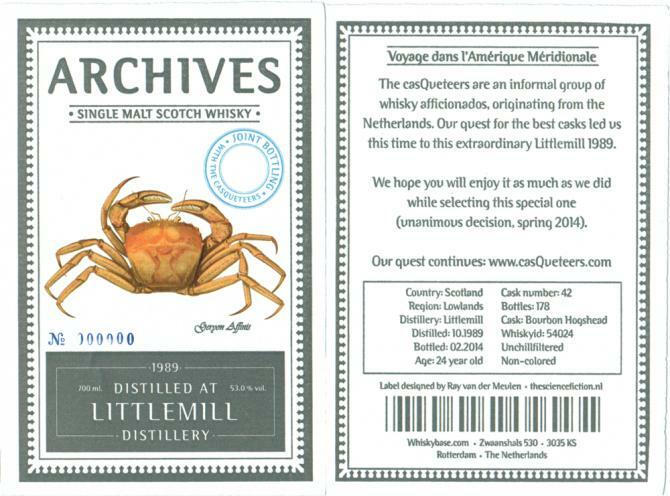 A bit difficult to access (compared to other Littlemill) at first glance, however. 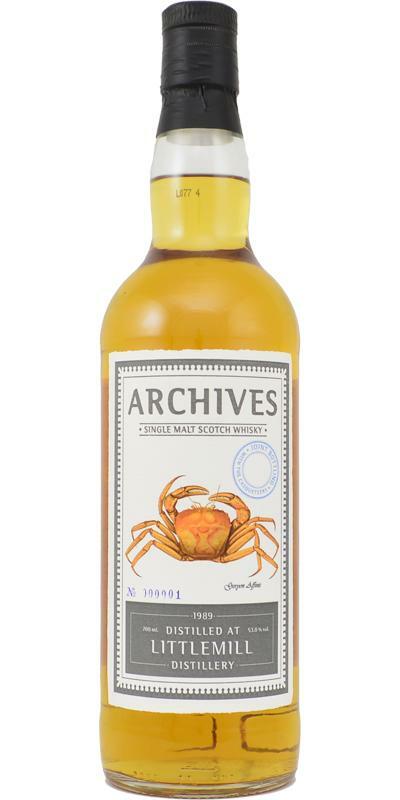 Typical Littlemill nose: fresh, grassy, ​​fruity. Sweet citrus, dry pear, fresh grass, and even some forest moss in the fall. The fruitiness (pear, citrus) is very present, but a bit too much bitterness of apple peel too. This bitterness becomes more discreet from the second sip, fortunately. The oily and soft side then appears. An alcoholic kick at the end of the mouth, the bitterness vanishes. A slight wooded drought settles quietly.